Anzu Global personnel have extensive globalization industry and staffing experience. Our knowledge and experience helps save you time and money. We are able to clearly understand your staffing needs and deliver results quickly. Working with Anzu Global on your localization requirements can save you resources and money. There would be no need for extensive searches and interviewing by the HR generalist and no need to incur advertising costs. Anzu Global managers will present clear, honest feedback about availability of resources, competitive compensation and timeline for hiring. 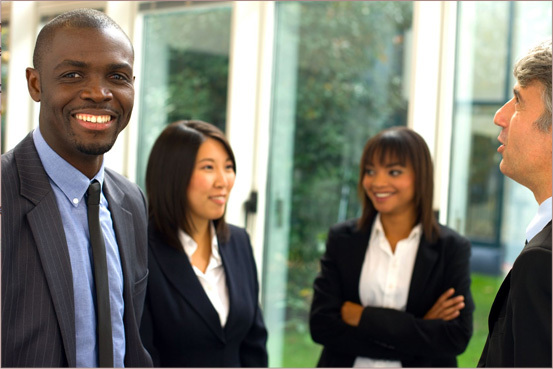 Anzu Global personnel will present a handful of pre-qualified, localization professionals for your specific opening. Have worked with Michael Klinger (of Anzu Global LLC) for over five years and always review the candidates he sends me. He seems to understand my needs sometimes better than I do. Providing the right consultant to review our processes before we began to globalize our new products saved us time, money and multiple headaches.